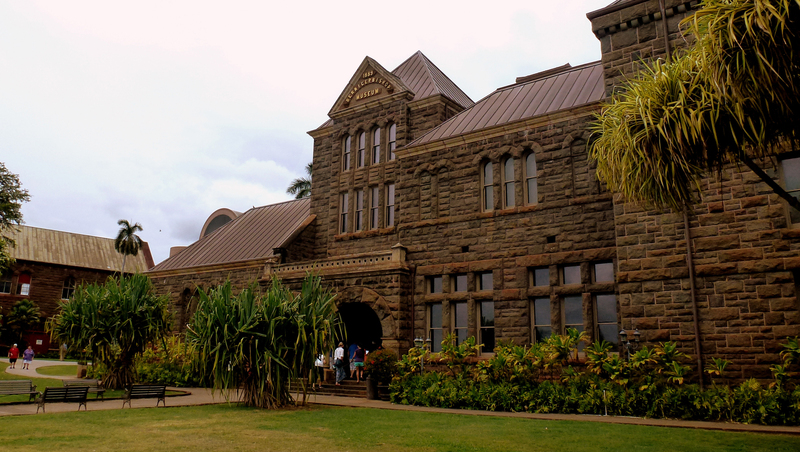 The front of the Bishop Museum in Hawaii. You could have met Doraemon at the Bishop Museum in 2014. Why Was Doraemon at the Bishop Museum? In 2014, you could have met Doraemon at the Bishop Museum in Honolulu. Doraemon is one of Japan’s most popular manga characters. In Japan and elsewhere, Doraemon is a highly successful anime series and media franchise. The robotic cat of Fujiko F. Fujio was so popular that followers once called it Japan’s first anime ambassador. Doraemon is a robotic cat servant who traveled back in time from the 22nd century. In the present day, Doraemon is busy aiding his young friend, Nobita Nobi, through trials and tribulations. You can find the Bishop Museum in Honolulu. It was founded in 1889, in memory of Bernice Pauahi Bishop, the wife of Charles Reed Bishop and last direct descendant of King Kamehameha I. Today, the museum is the largest in Hawaii and acts as a home to the largest collection of Polynesian cultural and scientific artifacts in the world. It includes a massive library and archive full of books, periodicals, newspapers and special collections as well as the Hawaiian Royal Regalia, royal crown and consort’s crown. You can visit the museum from 9 am to 5 pm everyday except on Tuesdays. Admission to the Bishop Museum is $19.95 for adults, $14.95 for youths age 4-12, and $16.95 for seniors. Admission for residents of Hawaii and members of the military (with ID) runs $12.95 for adults, $8.95 for youths and $10.95 for seniors.